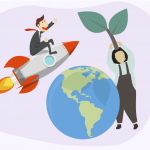 Abi is a 27-year-old developer who decided to leave his job in December aiming to build an online business. Only one month later, he had launched Pull Reminders. The first months were tough, but as soon as Abi was able to show his product to developers, he never stopped growing. 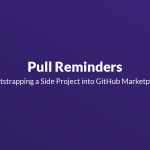 Pull Reminders has recently been featured on GitHub marketplace. I have just published one with Manoj Tulsani, who has built Rayna Tours, a successful destination management company on Dubai. 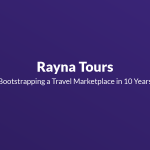 In this inspiring interview, Manoj shares his valuable experience of how he blazed a new trail with the opening of Rayna Tours and Travels, which has now become one of the most successful destination management companies. You don’t want to spend hundreds of hours and thousands of dollars developing your startup just to find there is no interest in your idea. An MVP can help you avoid this. 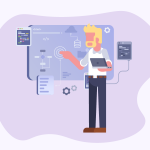 Find out what’s an MVP, how to avoid typical mistakes, why to build it, how to do it, how to get visitors and how to finally validate your idea. 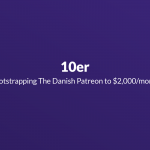 Mikkel created 10er, a Patreon-similar service for Danish creators. 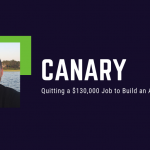 He built it as a Rails app and soon launched it on his podcast, where he already had a target audience. During the last few months, the site has grown a lot and almost reached the $2,000/month goal. 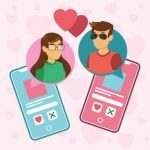 Building a dating app is all about developing an interface where people can actually feel confident and safe. It also includes a curated algorithm that is designed to get you from discovering someone to texting if you’re both interested to actually meeting in person as soon as possible. 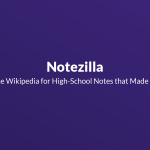 I have just published on interview with Ada Des Etages, a 24 year-old trans woman who failed to bring joy to the education system with her startup, Notezilla. She was motivated to start a Wikipedia for High-School notes after her informal notes on Shakespeare were a hit at her school. But she failed to find the right audience for her business and had to shut it down.